After his first battle in North Africa exposed U.S. weaknesses, Eisenhower regrouped, hired General Patton and led major military victories. As the Supreme Commander of Allied Forces in the European theater, Gen. Dwight D. Eisenhower is remembered as one of the most masterful military figures in history, the man behind the bold and superbly-executed Normandy invasion in June 1944 that led to Nazi Germany’s defeat less than a year later. 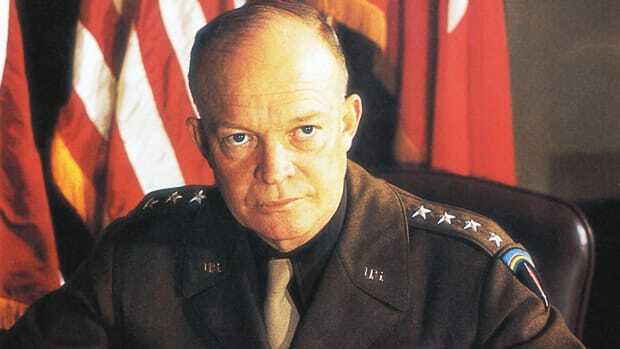 But before Eisenhower’s great military successes, there was a great failure. When he first faced the Germans in Tunisia in February 1943, his forces took a brutal beating in the battle of the Kasserine Pass. 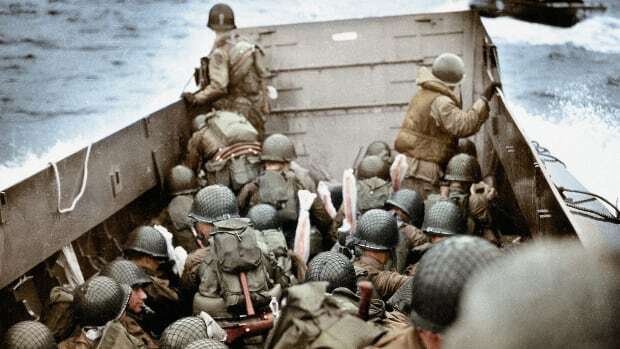 The battle is regarded by some as the most humiliating U.S. combat setback in World War II, with American forces suffering more than 6,000 casualties. The loss was so devastating that British allies began to question Americans’ ability to fight. But after figuring out what had gone wrong, Eisenhower made sweeping corrections. He reorganized his forces to work together in a more cohesive fashion, shook up his intelligence operation and brought in the brash, aggressive Gen. George S. Patton to shape up the U.S. Army’s ground combat force in Tunisia. Just as important, Eisenhower didn’t lose faith in his men. Instead, he was able to see what they did right in the battle, and to build upon those strengths. As the National World War II Museum’s website details, in November 1942 Eisenhower led the American and British forces in Operation Torch, an invasion of Axis-held North Africa. The Allied forces moved eastward, with the British forces under Gen. Bernard Montgomery taking Tripoli in late January. Then the Allies crossed the Atlas mountains, with a plan to head toward the Mediterranean and split the German forces to the north and south. 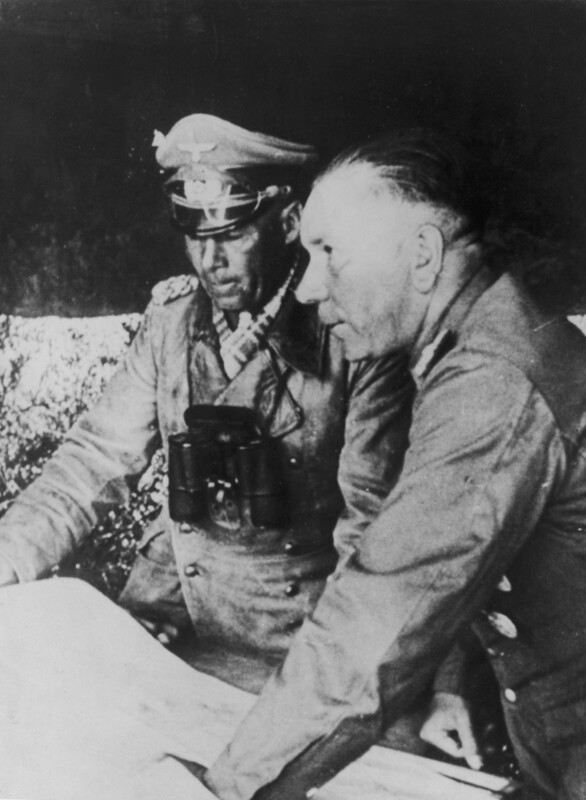 German military commander Erwin Rommel discussing plans with General Nehring in Tunisia in December 1942. In response, German Field Marshal Erwin Rommel used two of his tank divisions to push back the Allied line. Then, he saw an opportunity. He decided to launch a direct counterattack against the Allies through the Kasserine Pass, a gap in the mountains in central-western Tunisia. Early in the morning on February 19, the Germans struck, and over the next week or so, inflicted heavy punishment upon the Allies. The inexperienced II Corps, commanded by Eisenhower subordinate Maj. Gen. Lloyd Fredendall, did particularly badly. 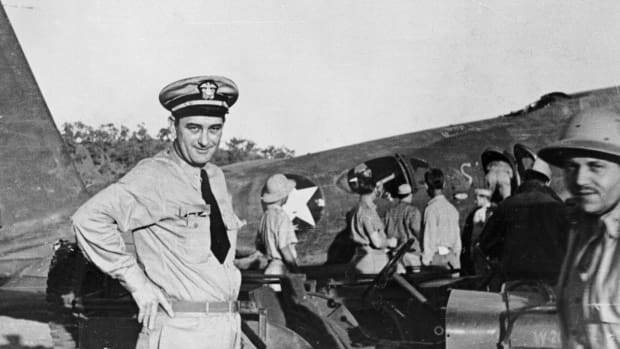 To make matters worse, Fredendall had split up elements within divisions and assigned them separate individual tasks, so that they fought in an uncoordinated fashion. Eventually, in the last few days of the battle, the U.S. forces rallied. By the end, “their line had stiffened, and they were blasting the Germans with concentrated artillery fire,” Citino explains. That halted the German offensive, and Rommel—faced with overextended supply lines and Allied reinforcements rushing into the fray—ordered his forces to return to their starting positions. The US army&apos;s Second Corps looking over a burnt out tank belonging to Rommel&apos;s Africa Corps following the Battle of the Kasserine Pass. While the Germans had been repulsed, the battle had been a costly one. The U.S. forces suffered more than 6,300 casualties, including more than 300 killed. The Germans, in comparison, suffered around 1,000 casualties, including 200 killed, 550 wounded and 250 missing, according to Blumenson. To add to the pain, the poor U.S. performance earned scorn from the experienced British forces. As Eisenhower biographer Carlo D’Estes details, British soldiers began derisively referring to the Americans as “our Italians,” a reference to the Germans’ lightly-regarded ally. For Eisenhower, his first battle turned out to be an embarrassing moment. But when Eisenhower reported back to his boss in Washington, U.S. Army Chief of Staff George C. Marshall, he tried to put a positive spin on events. “All of our people, from the very highest to the very lowest, have learned that this is not a child’s game,” he wrote. His forces were ready and eager to get down to business. 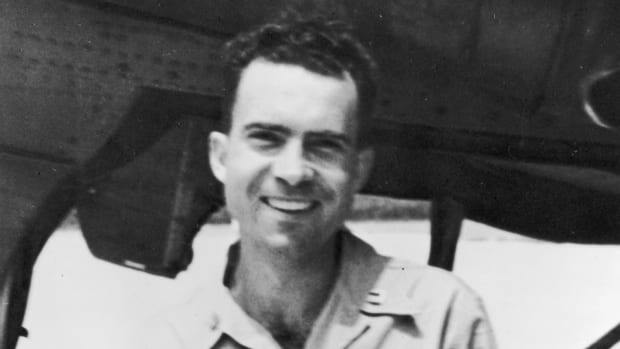 As Eisenhower examined what had happened, he saw that despite the shortcomings at the top and his forces’ inadequate training, his enlisted men and field officers were quick learners and tough enough for the job. One of Eisenhower’s key moves was to relieve Fredendall, about whom he’d had misgivings even before the battle, from command of the II Corps. He replaced him with Maj. Gen. George S. Patton, a tough taskmaster and aggressive, daring tactician. Patton turned out to be the perfect man to retrain the II Corps and incorporate the lessons learned from Kasserine Pass. “Eisenhower&apos;s replacement of Fredendall with Patton shows that Eisenhower was a decisive leader who could make the tough decisions,” Leo Barron, author of Patton’s First Victory: How General George Patton Turned the Tide in North Africa and Defeated the Afrika Corps at El Guettar, says. 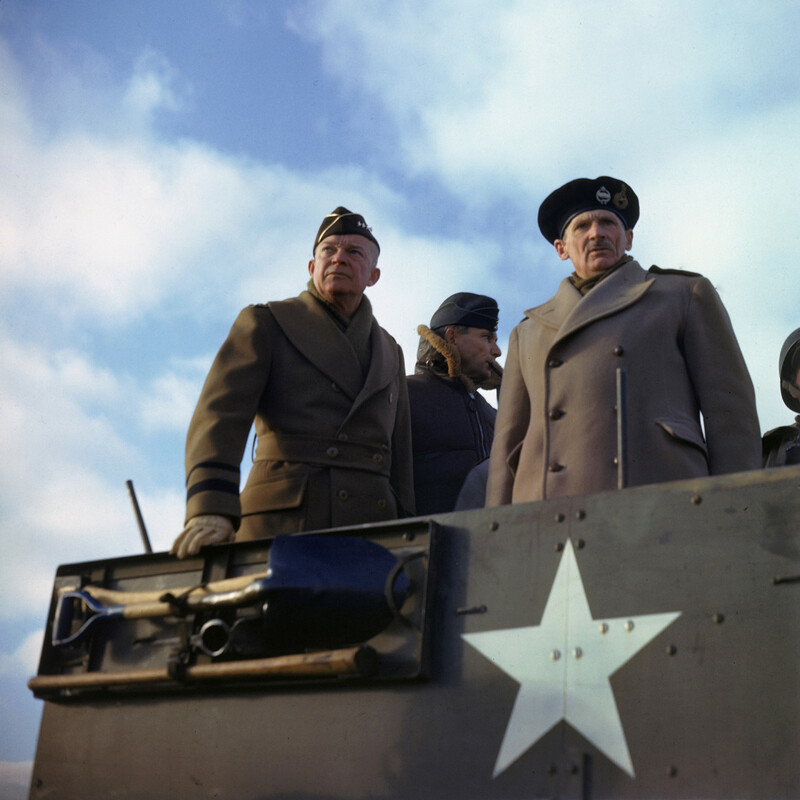 General Dwight D. Eisenhower, with his deputy, British Chief Air Marshal Arthur Tedder, and the principal commander of Allied ground forces in Europe, British General Bernard L. Montgomery in a US armored vehicle as they review a tank exercise in England, 1944. 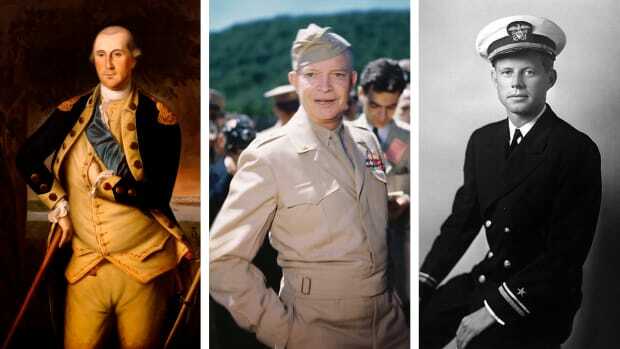 In addition, Eisenhower set a tougher standard for all of his officers. 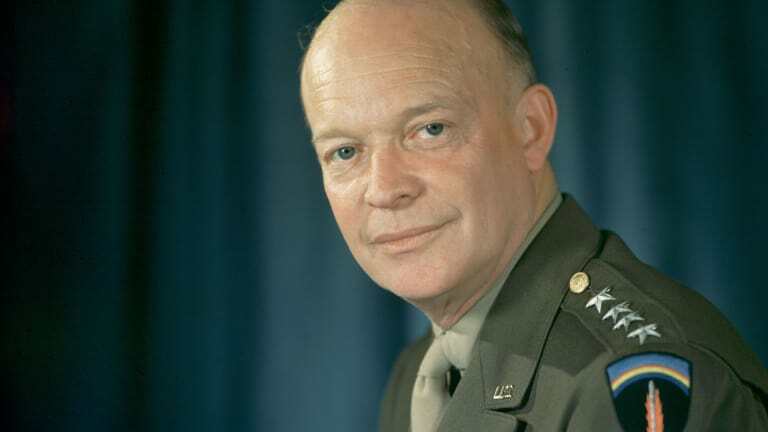 According to Ambrose, Eisenhower told Patton that he expected him to be “perfectly cold-blooded” about getting rid of anyone whose ability he doubted. 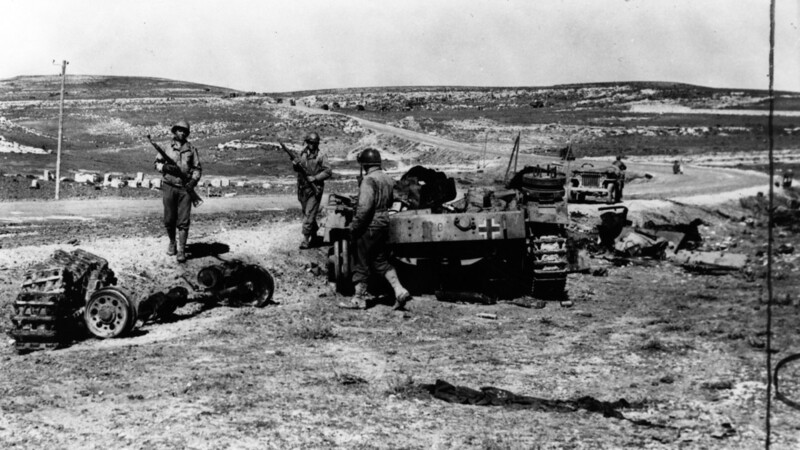 The Allied forces ultimately were victorious in North Africa, and went on to take Sicily and Italy as well. About a year and a half after the near-catastrophe at Kasserine Pass, Citino says, “it’s the same U.S. Army that’s landing in Normandy, and it’s pretty damn good there. 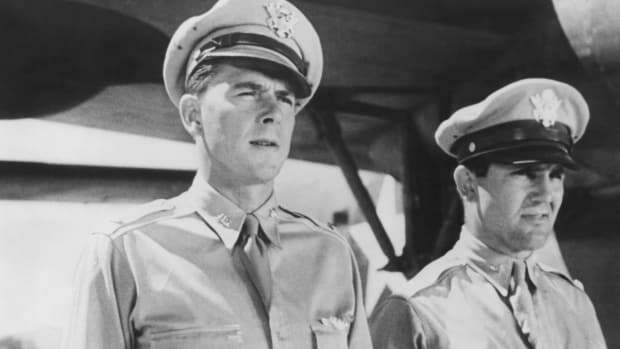 Watch a preview of the two-night event Presidents at War, premiering Sunday, February 17 at 8/7c.